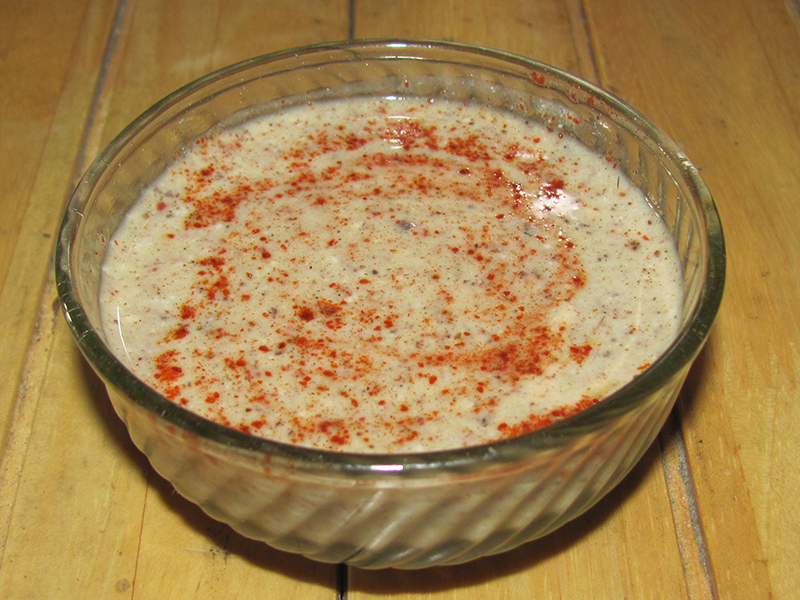 Yoghurt dip with Indian spices. Raita like many other Indian dishes has innumerable varieties. This is very popular among Punjabis and is mostly accompanied by parathas and rotis. Raita is a versatile dish and can be made with anything though the main ingredient remains curd. In a wok dry roast the dried red chilli and cumin seeds. Take care not to burn them. Roast them on a low to medium flame till they are aromatic. 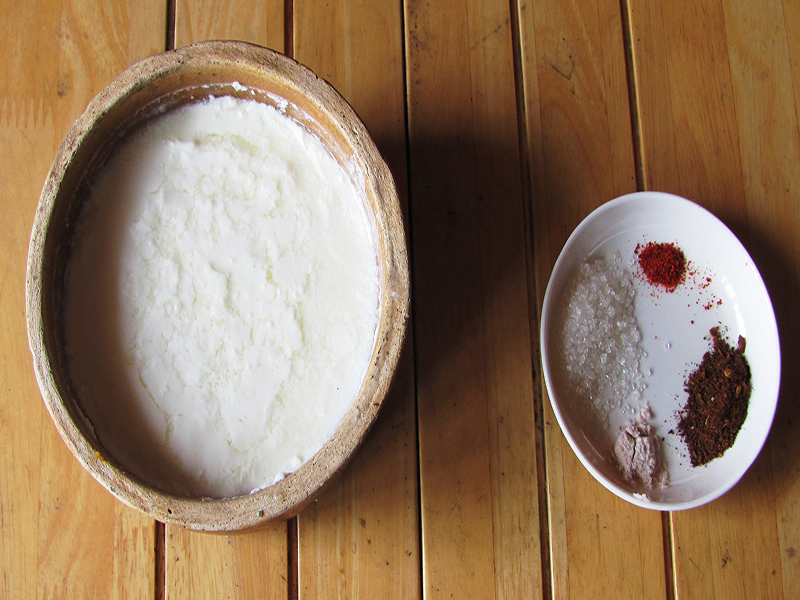 Remove and grind them to a fine powder. Store it in an airtight container. In a bowl beat the curd. Add the rock salt and sugar. Beat well till the sugar dissolves. Add 2 tsp of raita masala and mix well. Sprinkle a pinch of red chilli powder and serve cold. There are several variations that you can try. You can add cucumber cubes, onions, tomatoes and even mint leaves chopped in the recipe to enhance the flavor. Serve it cold with any paratha as a dip.